In summary: New York City had a life of it’s own in my head. In early August 2016, I visited there for the first time. On the first afternoon we visited Central Park and were there for hours, despite the jet lag. Day One started with a tour of the Intrepid and the Space Shuttle Enterprise, followed by the full two and a half hour cruise around Manhattan – south down the Hudson River into the Upper Harbor, up the East River under the “BMW” bridges, past Midtown and the UN, into the Harlem River, back south into the Hudson River, underneath the George Washington Bridge, past Grant’s Tomb, and finally back into port. To finish Day Two we had a death march to find a cab, went to the Mets game, left early only to miss the best part, and inadvertently stiffed a nice cab driver. Bright & early on Day Three we headed out toward Liberty Island – it’s hard to take a bad picture there, then went to Ellis Island. 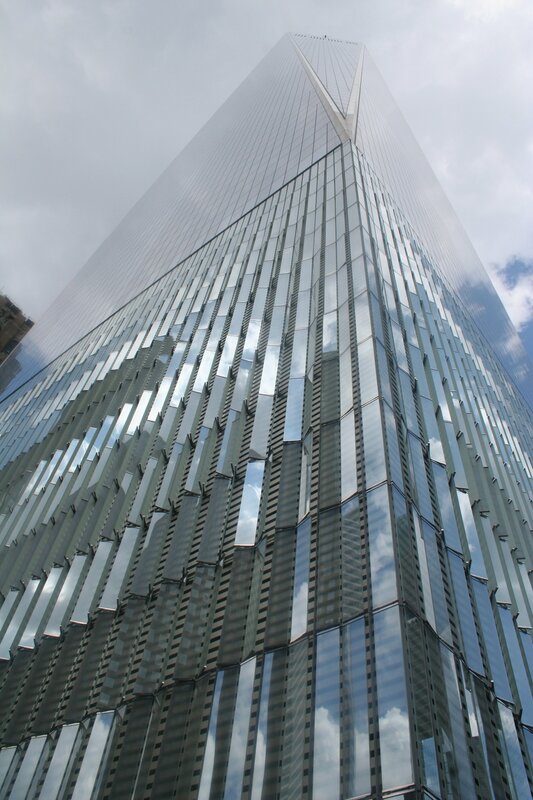 Bank on Manhattan, we went to World Trade Center Museum. My first impressions up to this point were almost those of shock. It’s one thing to remember that day, with none of us ever able to forget when and where we were. It’s quite another to be there. After the initial impressions, the shock starts to lessen and the horror begins. That’s how I ended the last installment of this photo montage of our New York trip. 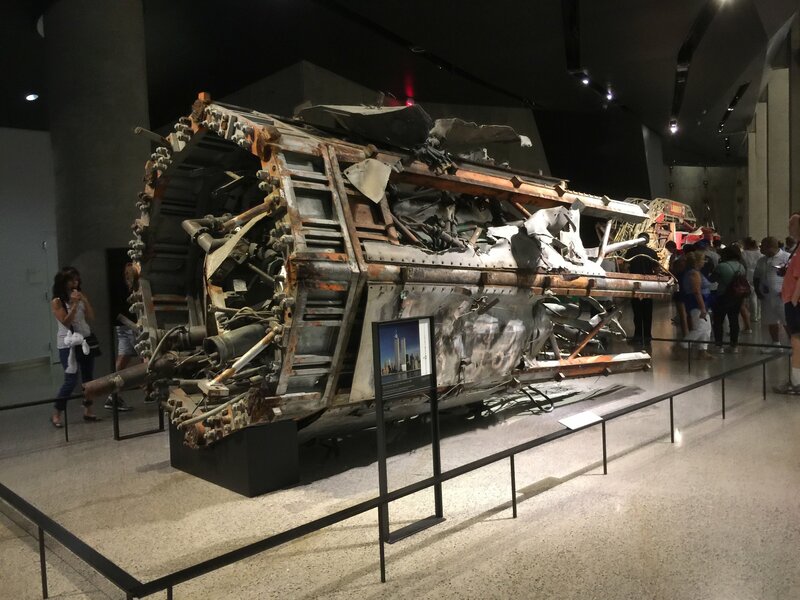 Day Three was a tough one emotionally, a roller coaster, and the World Trade Center Museum in particular was hard for me. Perhaps that’s why it’s taken nearly two months to post the second half of these pictures. 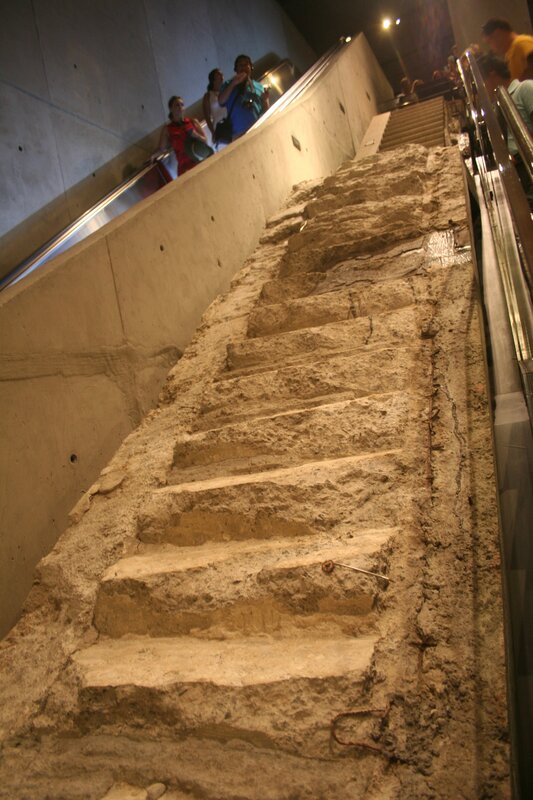 The “Survivor’s Stairs” were a pathway for thousands who managed to escape the Towers before they fell. 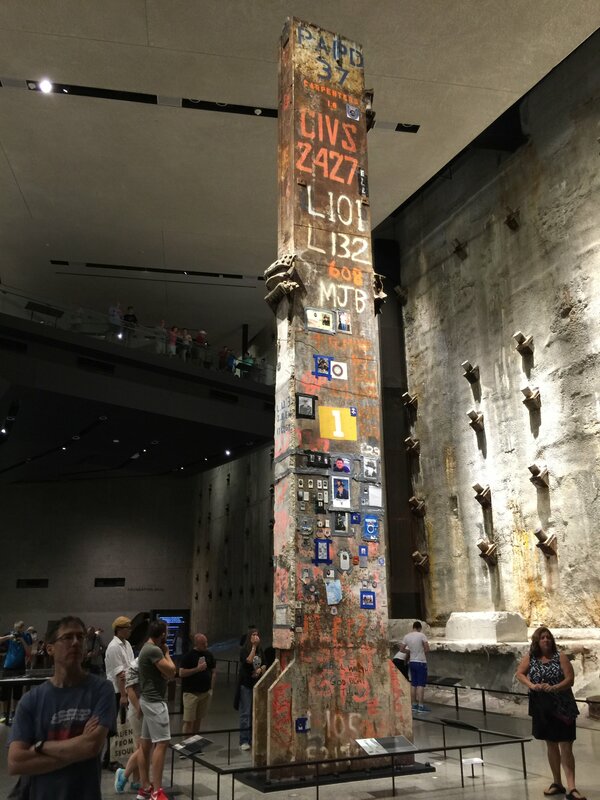 At the bottom of the memorial you can see the remnants of the box columns that held up the outside superstructure of the Towers, now sawed off and marking the outline of the two towers. A remnant of one of the antennas that were originally on top of the towers. 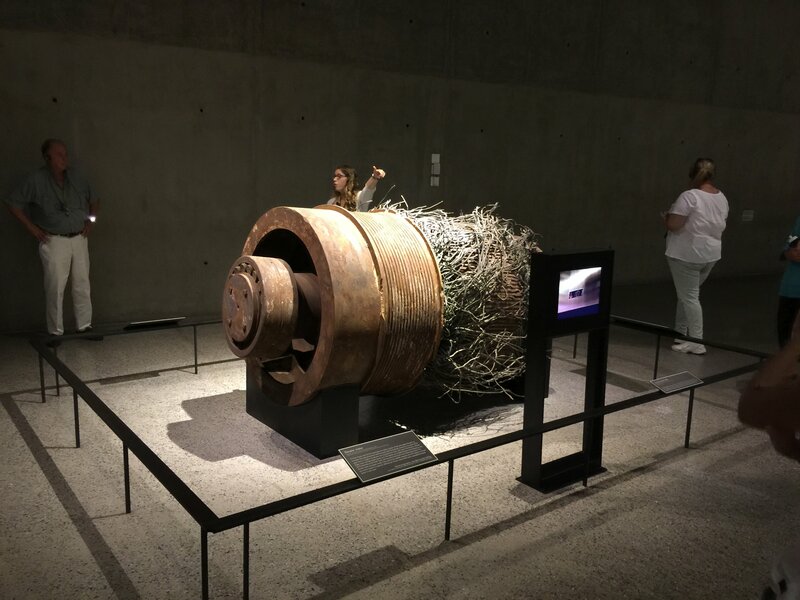 This high-speed motor was at the top of the North Tower, moving passenger elevator cars at 1,600 feet per minute. 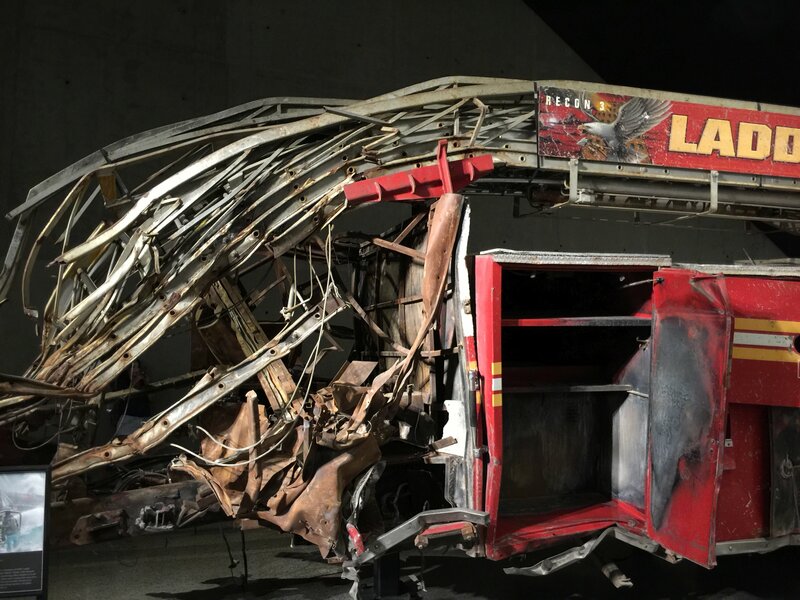 The museum has several large pieces of firefighting equipment that was smashed and burned when the towers fell. 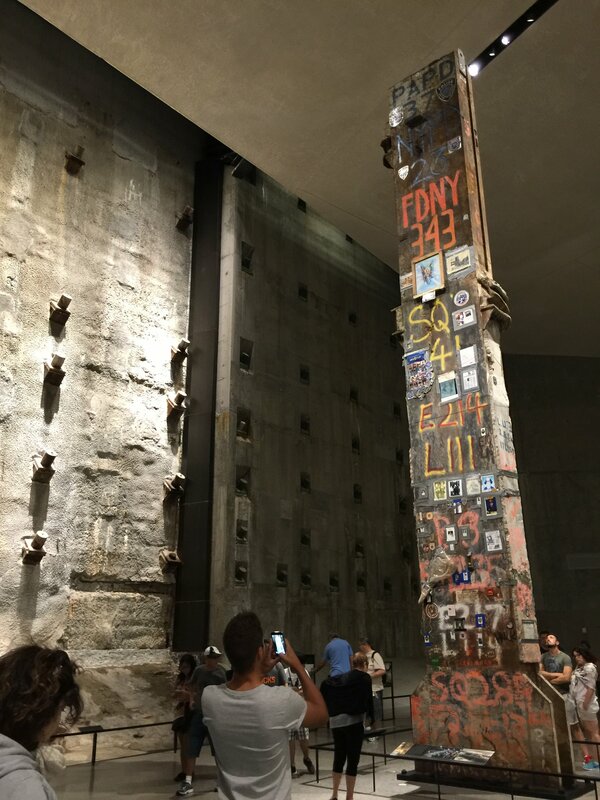 One side of The Last Column, along with the infamous slurry wall. A close up look at the opposite side of The Last Column before taking the long escalator ride back up to the light and the sunshine. There are large areas of the museum that I’m not showing or can’t show because photos aren’t allowed. 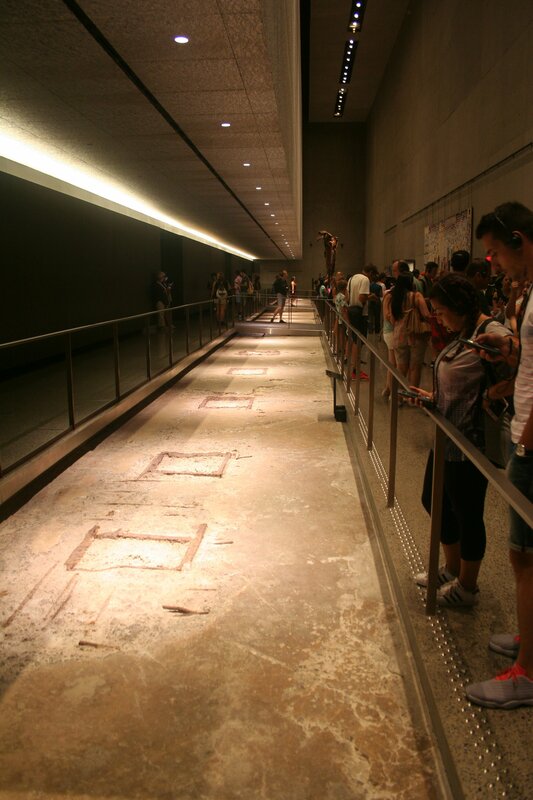 Suffice it to say that there are some terribly tragic and emotional displays here. There are lots of places to get tissues throughout the museum – you’ll need them. 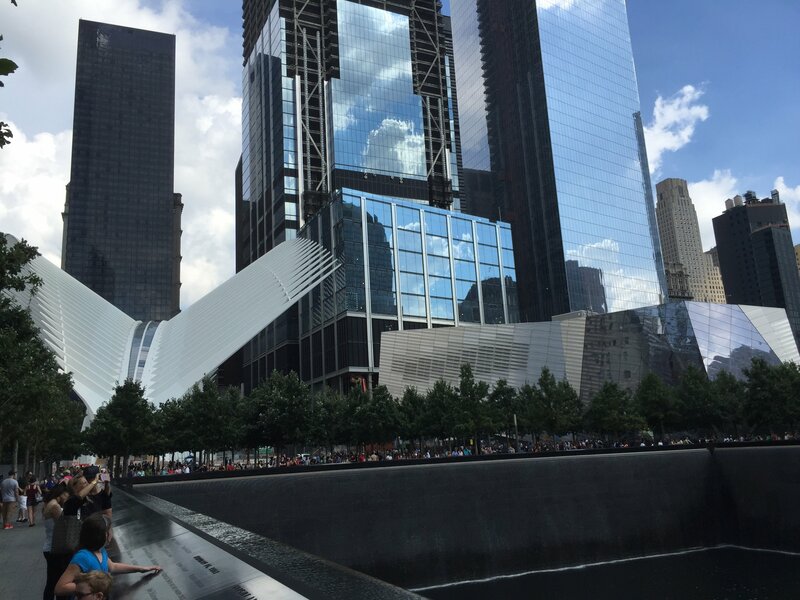 I still can’t recommend enough that you go and spend a few hours there when you’re in New York City. Outside, a final stroll past the North Pool, heading toward that weird, bird-like building. We figured it must be another museum or something spectacular – nope, it’s a new shopping mall. Gotta love New York! Day Three was a tough one, physically and mentally. By the time we found a place to get a late, late lunch, then got back over to the Chambers Street subway and through rush hour in the stifling subways, we were drained. It was a good chance to knock off early and chill, to recharge before our Day Four adventures. Which were fortunately much more light hearted and touristy than our Day Three adventures.